What Are Water Efficient Toilets? 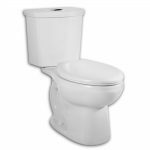 Why Choose High Efficiency Toilets? 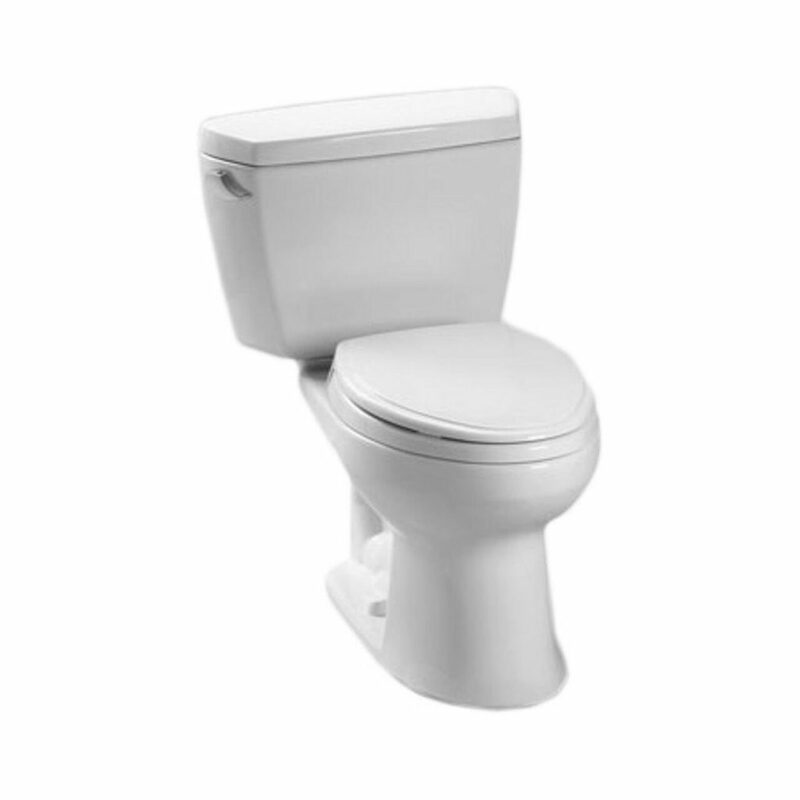 The TOTO Ultramax II is a sleek, high profile, one piece, WaterSense certified toilet. It features a wide backsplash and provides a wide basin for comfort of use. 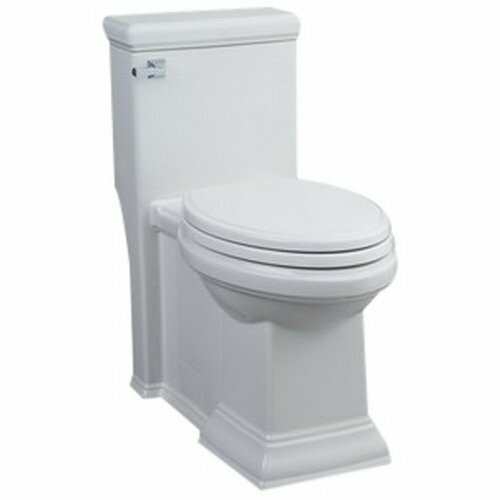 This toilet delivers a quiet, powerful flush each time you use it. It is in compliance with ADA regulations for toilet height. The toilet features a SanaGloss ceramic glaze coating to help you keep the bowl clean and reduce the amount of water and chemicals necessary to clean it. This unit uses the Double Cyclone Flushing system, which shoots jets of water around the rim of the bowl to create centrifugal force that delivers a powerful reliable flush each time you use it. 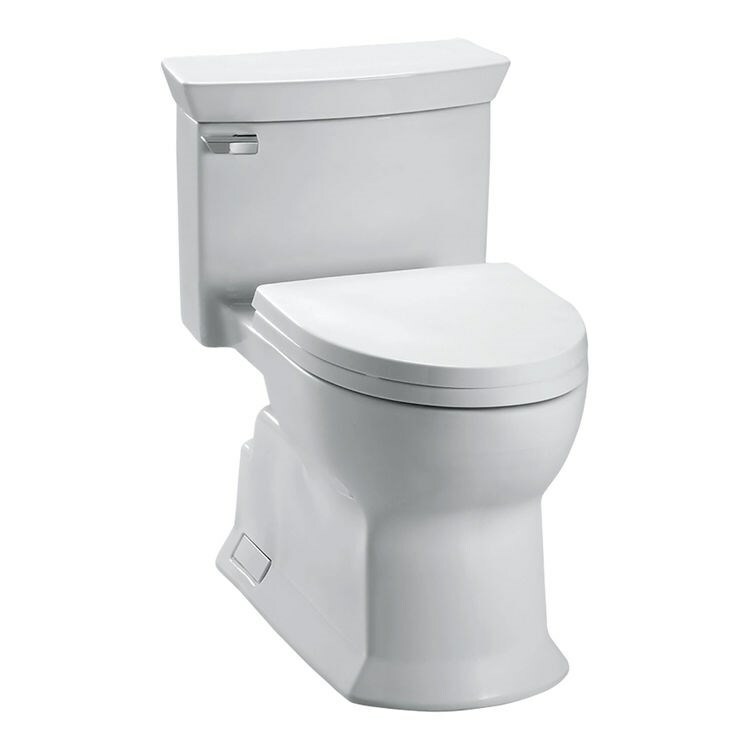 The Kohler Santa Rosa toilet was designed to be the ultimate space-saving, high efficiency toilet on the market. It has a contemporary one-piece design and it is compact enough to fit into any bathroom. It features a unique flush engine, the AquaPiston. This flush engine makes it possible for water to flow into the bowl from all 360 degrees at the same time. This provides a powerful, fast flush that does not promote clogging. The Santa Rosa uses 1.28 gallons of water per flush. The company states that the Santa Rosa will save you over 16,500 more gallons of water per year than a tradition 3.5 gallon toilet would; yet they promise not to sacrifice performance. 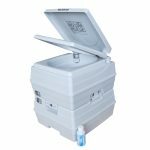 The TOTO Eco Soiree is a low consumption toilet that features a powerful Double Cyclone Flushing system to use gravity to help increase flush strength while maintaining low water consumption standards. Two nozzles are used to shoot water around the rim and bowl more efficiently. This helps to keep the toilet clean and sanitary while increasing the flush strength. Less dirt and bacteria get trapped around the rim. This helps reduce mold, bacteria and debris from collecting in the bowl. 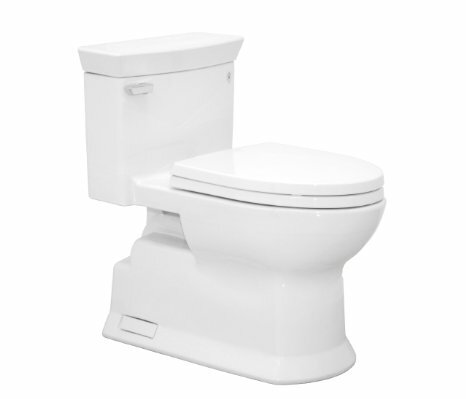 The Kohler San Raphael elongated toilet has the lowest water consumption of any of the models reviewed. It uses just 1 gallon of water per flush. It comes in a variety of colors so it is capable of fitting into any décor. It is marketed toward a commercial client who may need to meet residential or hospitality needs. The toilet features an all in one design with an elongated bowl. It features a polished chrome lever and comes with a Quiet-close seat. 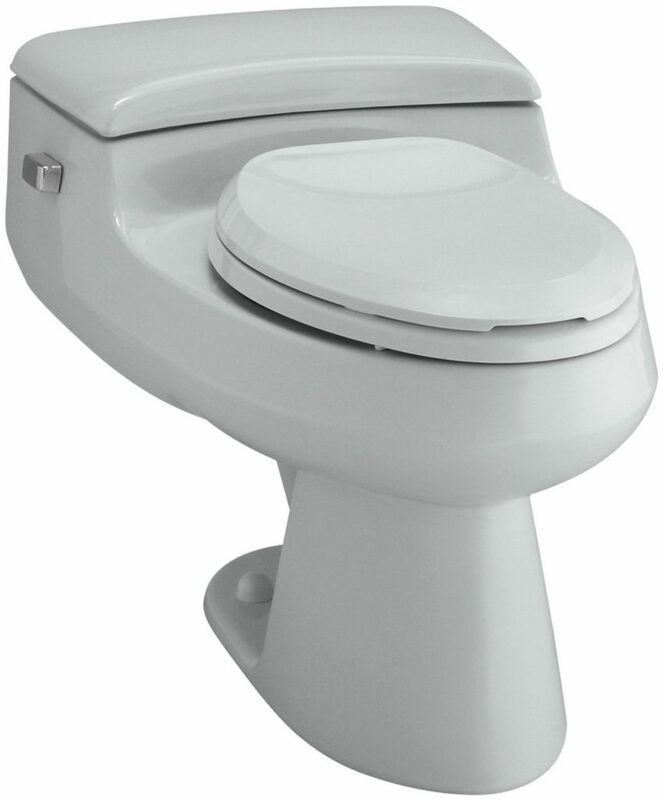 The Danze High Efficiency Elongated Toilet is made to be ergonomically designed for comfort. Its design was carefully considered to make it both attractive and easy to clean. The elongated bowl is intended to bring added comfort to the seat. It has an attractive design that will be a compliment to any modern bathroom. 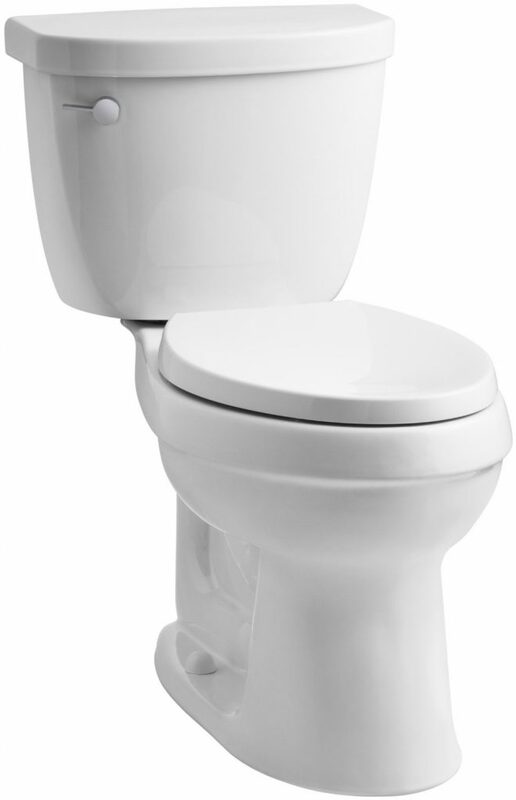 Low flush toilets are designed to save more water with every flush than conventional full-flush toilets. 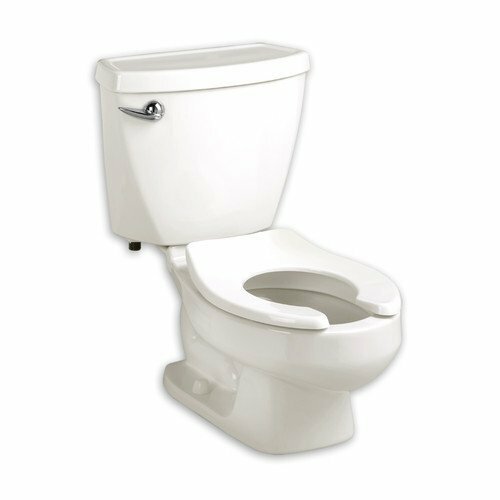 Toilets that use 1.3 gallons of water or less per flush are also known as low flow, low-flush or high-efficiency toilets. 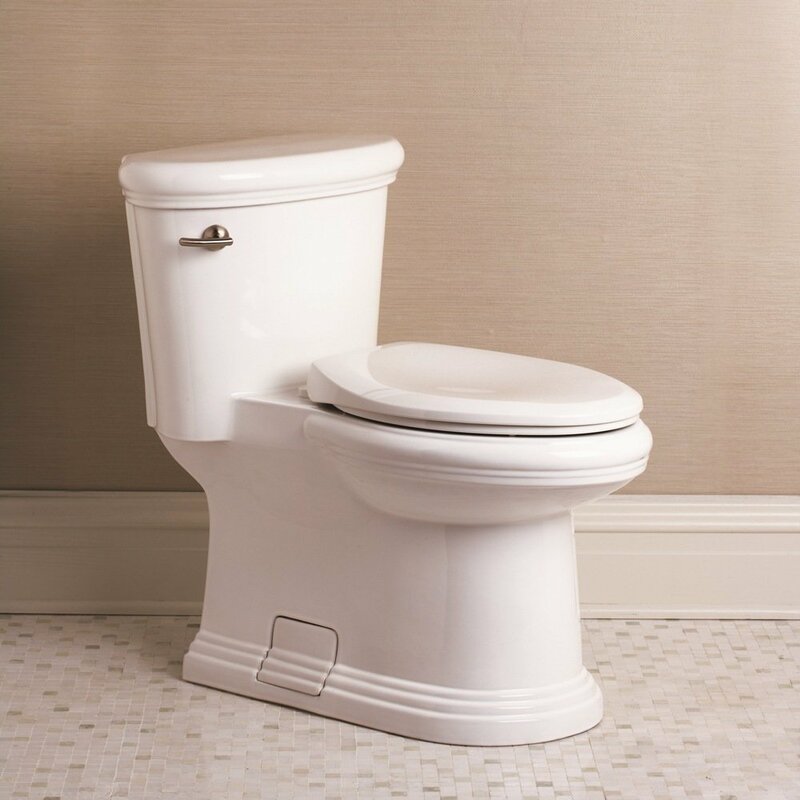 Traditional toilets typically use up to 1.6 gallons of water or more per flush. These high efficiency water saving toilets were designed and introduced in the 1990s, in order to address U.S. water conservation concerns. 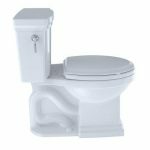 Many people are worried that low flow toilets will not work as well at eliminating waste from the toilet like some of the best selling flushing toilets. However, that is not the case. 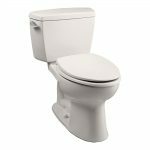 Most high efficiency toilets use a pressurized flush valve to ensure that the water is powerful enough to flush waste out so that you do not have to double flush. This is made even more possible because a low flush toilet will typically have a large trapway as well. This makes it easy for you to flush away the toilet paper and solid wastes with a tiny bit of water pushing it out. 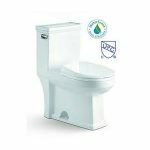 Toilets that use less than 1.3 gallons of water per flush can receive a WaterSense sticker issued by the EPA that certifies it as a water saving toilet. Many of the early low flow toilets problems revolved around issues on not having sufficient water power to remove solid waste from the bowl without a second flush. Newer designs are implementing a drain pipe with a smaller diameter so waste is less likely to accumulate and settle along the drain pipe. 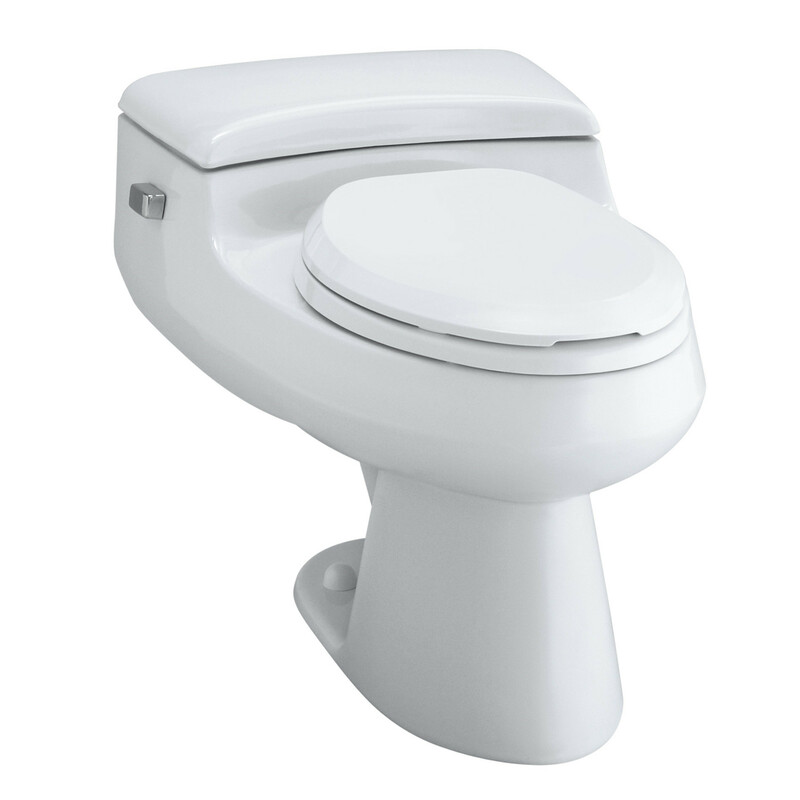 If you are in the market for a high-efficiency low flow toilet, we recommend the TOTO Ultramax II. 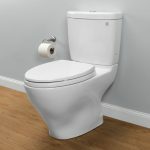 This is a great toilet for the price and is one of the best TOTO toilets. It features an easy to clean, one piece design. It has a strong flushing system and has a high customer satisfaction rating. The SanaGloss glaze is effective at reducing the time, effort, water and chemicals needed to clean it. This makes it a better choice for the environment. 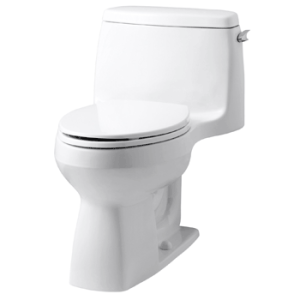 Customers claim that it provides a strong, reliable, quiet flush each time. The Kohler San Raphael Comfort Height Pressure Lite would be the best choice for you if you are looking for the model with the highest water efficiency, but we did not select this model as our recommended product because it had many poor customer satisfaction reviews. Many people claimed that they could not get the water to stop running and the toilet actually increased their water consumption. The TOTO Ultramax II seems to provide a more consistent performance. For more high efficiency toilets that we love, keep reading! 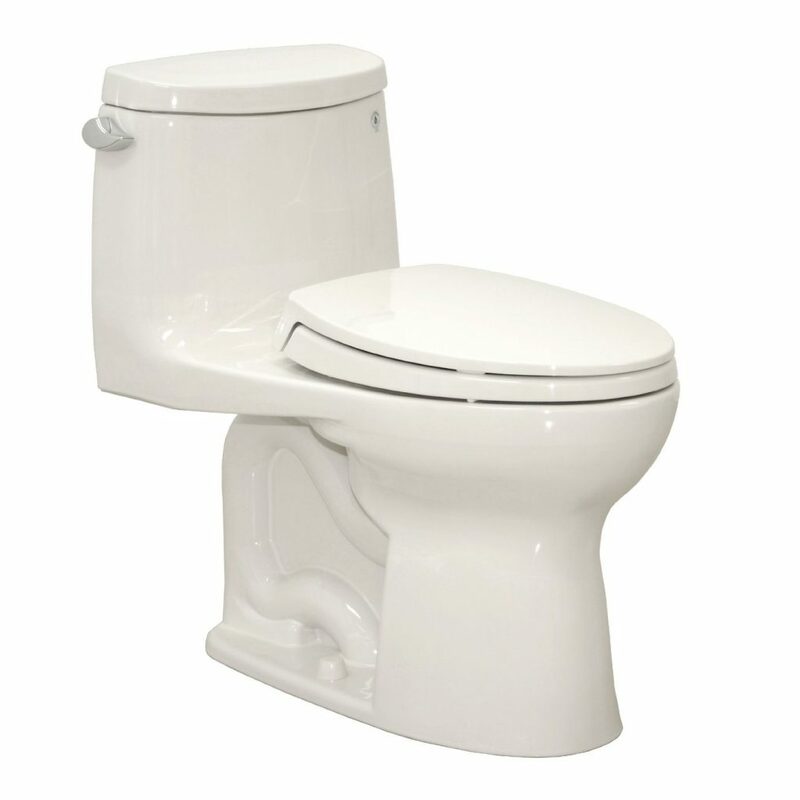 If you’re looking to buy a fabulous dual-flush toilet, this is just the thing you need. This model comes in white and linen – and both colors look stunning. 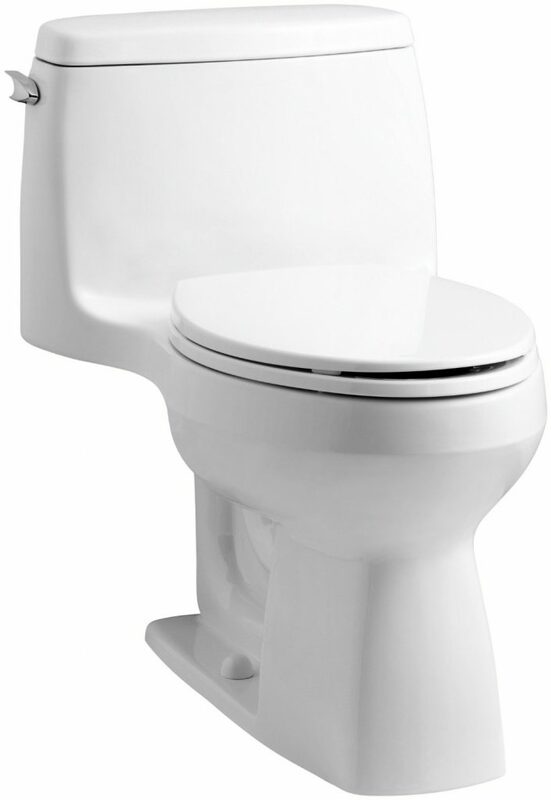 Elongated bowl, concealed trapway, slow close seat and cover all work together to deliver efficient and stylish toilet. 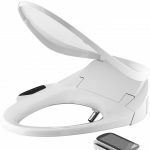 The flush mechanism won’t let you down as it works great and is quite powerful, leaving the bowl clean after each use. In addition, cleaning this toilet will be easy, as it doesn’t have a lot of curves. However, a slight concern is that the unit is one piece, thus it’s very hard to install it. Also, this model is a tad taller which some users didn’t like. This toilet is equipped with an E-Max flushing system and uses only 1.28 GPF. It is a standard size, elongated toilet that is slightly decorative. It is a 10-in rough in and features a chrome trip lever. Price wise, it is very economical. This toilet not only saves you money but it can save you from falling. 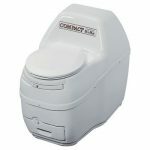 It is a comfort height toilet that flushes using an AquaPiston canister and a large 3in flapper. It is an elongated, two-piece toilet. The good news is, there are a variety of colors for you to choose from. 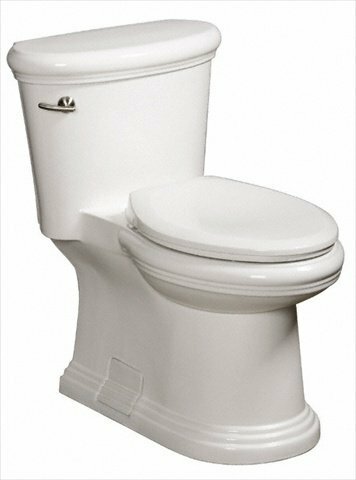 The H20ption is actually a dual flush toilet, allowing you to choose from a lighter flush or more powerful flush depending on your needs. 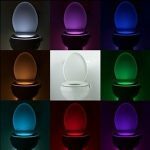 It is available in round or elongated toilet bowl sizes. It has a chrome plated top mounted push button flush system and requires a 12-inch rough in. The seat has to be purchased separately, but overall the style is appealing to many people. 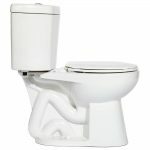 This is a 10-in high round front toilet - ​a compact toilet ﻿great for﻿ smaller bathrooms. It has a fully glazed 2 1/8 inch trapway and requires only a 10in rough in. In general, it is affordably priced and simple enough to appeal to most people.